WELCOME TO 2017 BEST EUROPEAN DESTINATION! Porto’s history is strongly linked to trade and love of freedom – so much so, that it is called Cidade Invicta (Undefeated City). 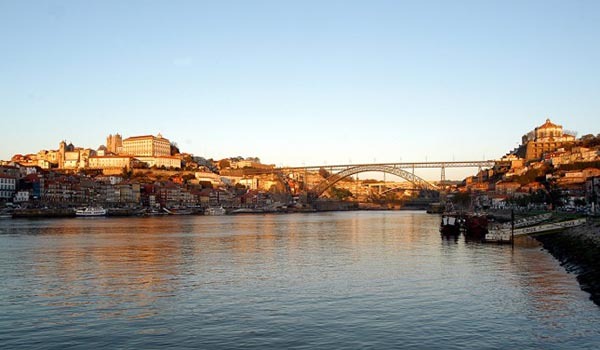 Porto is known around the world for the charms of its historic centre (UNESCO World Heritage since 1996), Port wine, its generous gastronomy and the unrivalled hospitality of its inhabitants. Whilst proud of its history, its medieval winding streets and the countless monuments scattered around the city, 21st-century Porto is also dynamic and constantly being upgraded. This vitality is clear in all the green spaces and sports grounds in the city, in its comprehensive public transport system and in its busy cultural offer and nightlife. It has everything you can expect from a city which, together with Rotterdam, was European Capital of Culture in 2001. Over the last few years, Porto has also become a reference for visitors from all over the world, lured by the city’s many delights: an early walk beside the river on a sunny day; lunch in Praça da Ribeira, alongside the cube artwork and the pigeons; a walk through the historic centre ending in climbing the iconic Clérigos Tower; dinner followed by a tour of the city’s bars; and, of course, the charms a University deeply rooted in the city. If you need another reason to come to Porto, here it is: in 2017 Porto was chosen for the third time as “Best European Destination” by European Best Destinations, Europe’s greatest tourism platform.